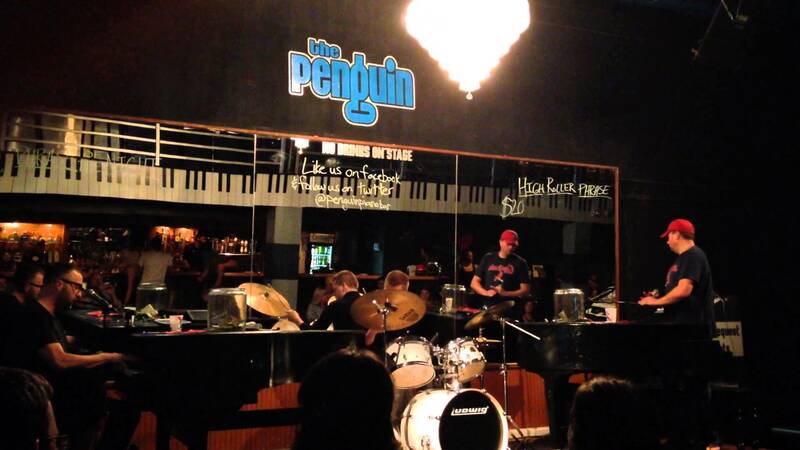 Located in the very midst of the university town of Columbia, Missouri, The Penguin piano bar consistently delivers an atmosphere of spirit and excitement. The establishment sits on East Broadway and only five minutes from the university. It definitely attracts a large contingent of Mizzou kids, so expect a lot of current top 40 and hip hop in addition to the standard classic rock and country you'll find in most dueling shows. As far as music, The Penguin offers something for everyone. Entertainers from around the country are flown in every weekend to perform, and each one is wise in their genre. The set list of the evening solely relies on audience request. Each entertainer knows thousands of songs from the 1950's and up, ensuring that all requests be played. Once the music begins, you can't help but to start tappin' your feet and groovin' with the mood. No two shows are alike! All the entertainers possess their own distinctive talents and abilities, and the shows are always changing. Beyond the dueling grand pianos, the music is complete with an array of instruments such as drums, horns, and more. The set up of the stage has the two grand pianos facing each other, behind them are the entertainers, and in front is the dance floor. It's equipped with a full bar, offering everything from beer pitchers to mixed drinks, below a beautiful, piano key themed balcony. The Penguin offers party packages and specials to ensure genuine catering for any event and occasion. Whether you're having a birthday, graduation, bachelor, or bachelorette party, The Penguin can promise an electrifying ambience with flavor and good vibes. They can keep everyone singing along with beloved favorites, whether they be modern or retro, and this place gets packed. From age 21 and up, there's a healthy balance of all generations of people. Guests are also able to make reservations a week in advance by contacting either through The Penguin's website or by calling. If you're holding a special occasion, you may be interested in their VIP section. There is no end to the pep and dynamism, and every evening offers its own tingle of character. 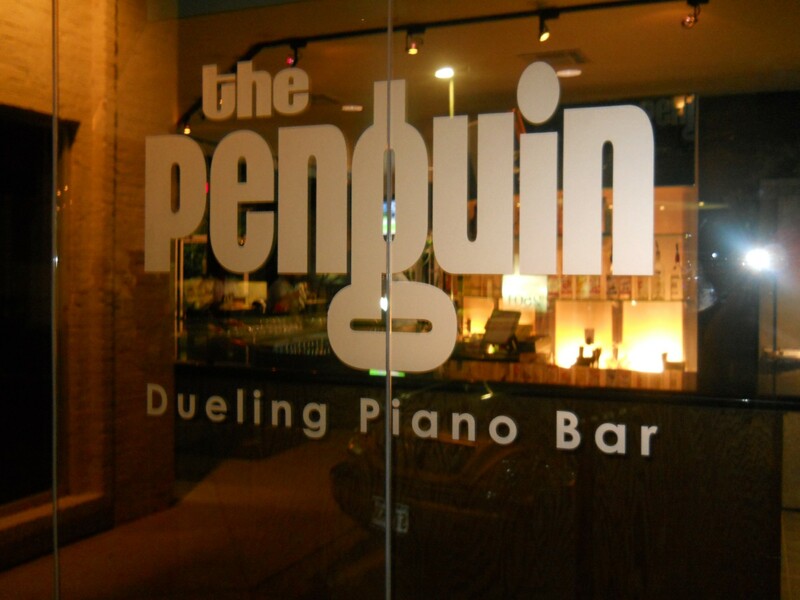 The Penguin invites you to come share an exhilarating evening with them. Bring your dancing shoes!